Picture from Aidy : The cliffs from below on the western edge. Picture: The cliffs from below on the western edge. Walked almost every inch of this magnificent mountain today, albeit in a very unorthodox fashion. 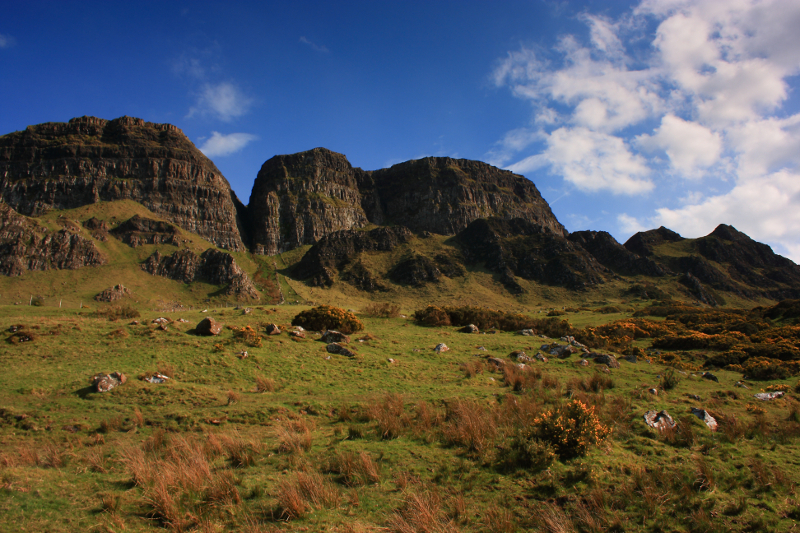 Initially I took the lazy way and parked beside the lough near the summit, then walked to the northeast edge of the cliffs. 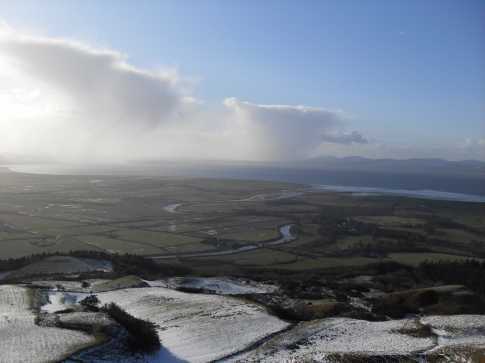 Walked in a generally southwest direction then, taking in the amazing views over Benone, Magilligan, Lough Foyle, Inishowen, the Roe Valley, and finally towards the Sperrins. All the while, I continually went as close as I dared to the edge of the cliff to see as much of them as I could from above. 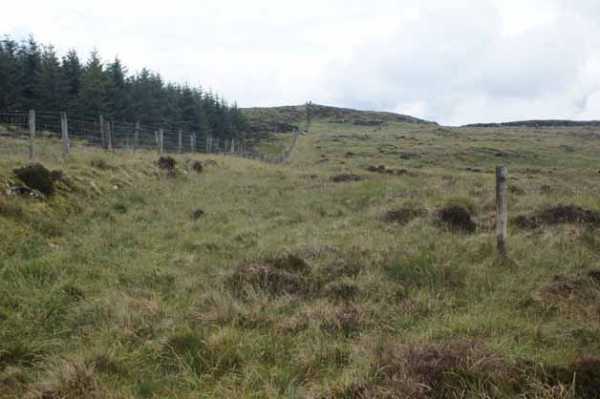 Having gone well to the south, I encountered a fence that took me east to the summit itself and the trig pillar. I then retraced my steps back to the car park, and drove round to a another car park in a forest just off the Aghanloo Road, not far south of its junction with the Seacoast Road. A long walk along the forest trail eventually took me out at the base of the cliffs on the west of the mountain. i walked south along the cliffs, ascending all the time, until I think I wasn't far off the point where earlier in the day I turned east from the cliffs to reach the summit, although I didn't go all the way up. Instead of going back north to regain the forest track, I thought I would cut directly west through the forest to the car park, which was a mistake. There was no trail at this end, and I took a zig-zagging route through dense trees, up and down steep forested slopes, tired and disorientated. Eventually, I did emerge close to where I wanted to be, although I'm not sure it saved me any time. Met a herd of goats at the southern edge of the cliffs too, but not sure if they were wild.